SAN LUIS OBISPO — Students at Cal Poly’s College of Engineering took the top three honors and shared $30,000 in this year’s Innovation Quest, an annual competition that encourages innovators to pursue their ideas by providing award money that can be used to launch businesses. 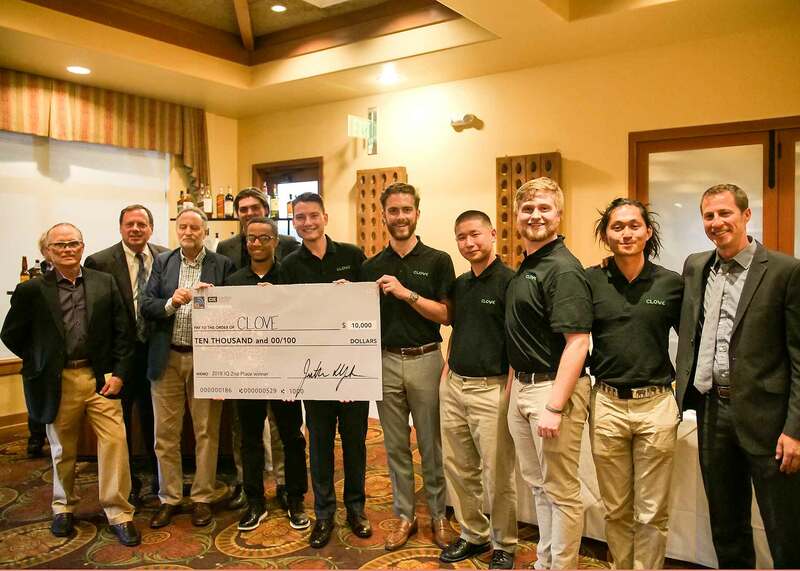 The competition, sponsored by Cal Poly’s Center for Innovation and Entrepreneurship (CIE), was held April 28 at the San Luis Obispo Country Club. 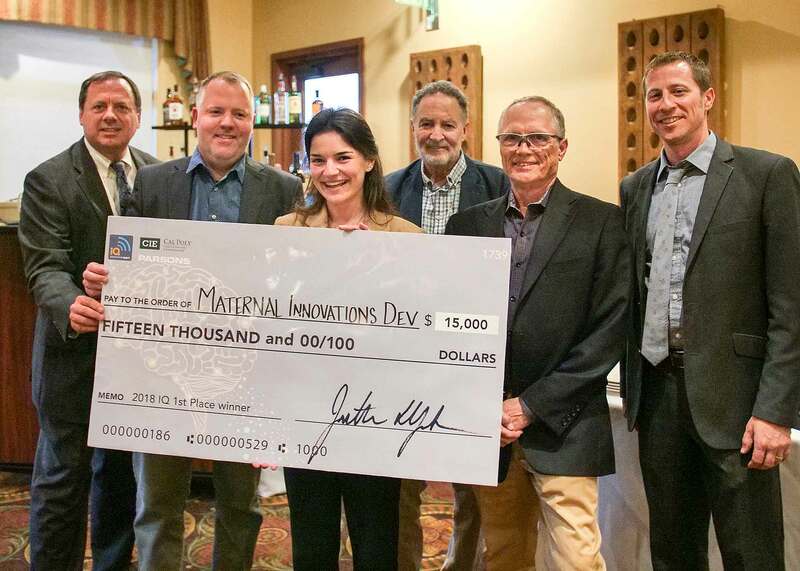 Sara Della Ripa, a biomedical engineering graduate student from Newbury Park, Calif., won the $15,000 top prize for creating a potentially life-saving medical device that could predict symptoms of hemorrhaging in new mothers. The $10,000 second-place honor went to a team that developed Clove, a device that automatically grows and maintains up to 24 plants for culinary use with little to no user interaction. Clove was conceived by business administration seniors AJ Gankhuyag of San Luis Obispo and Kieran Scandrett of Spreckles, Calif.; Alexander Decker, a mechanical engineering senior from Spring Lake, N.J.; Aaron Quinn, a biomedical engineering senior from Elk Grove, Calif; Anna Shambaugh, a graphic communications senior from Laguna Niguel, Calif.; senior Matthew Callaghan, a mechanical engineering major from San Luis Obispo; and Andrew Lam, a senior computer science major from Sunnyvale, Calif. 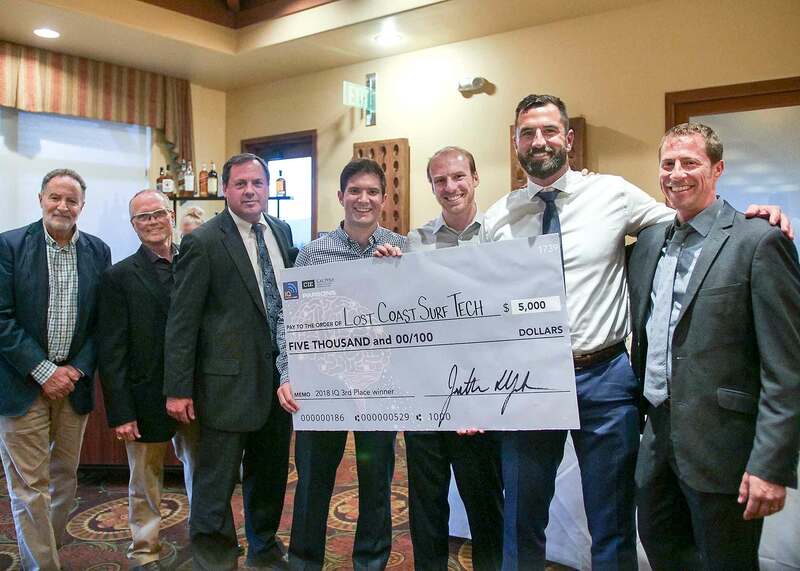 The $5,000 third-place prize went to Lost Coast Surf Tech, which designed what they call the world’s best performing surfboard fin, with smart tracking features integrated into a comprehensive mobile app. Graduate aerospace engineering majors Shaun Wixted of San Luis Obispo and Brandon Baldov of Atascadero, developed the technology. Innovation Quest, launched by Cal Poly graduates and business leaders in 2003, has awarded more than $300,000 in support of Cal Poly innovators and entrepreneurs who have used the program as a platform to launch successful business. The development teams at Lost Coast Surf Tech and Clove are enjoying interest in their young startups. The pair also are among eight startup companies selected for this year’s SLO HotHouse Summer Accelerator program. The intense 13-week program is designed for students and recent graduates who have developed new ventures that need funding and CIE resources to help launch their companies. The CIE provides $10,000 in capital, plus hands-on strategic business guidance from faculty and mentors, weekly programming and dedicated office space in the SLO HotHouse. Companies receive training, introductions to investors, and resources to help move their startups forward. At the end of the program, participants will have an opportunity to pitch their ideas to investors during Demo Day, to be held at Cal Poly in September.